When the 802.3at standard was introduced in 2009, the standard addressed the need for higher power requirements. However, the flexibility of PoE (Power over Ethernet) has proven far more versatile and has raised interest in yet another higher powered standard – 802.3bt. 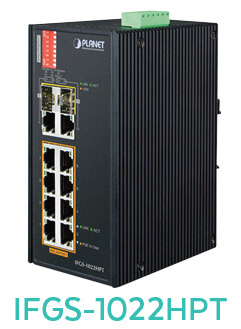 The 802.3bt standard, also known as Ultra PoE, utilizes all four twisted pairs to transmit 60 watts of PoE power. To learn more about how 802.3bt will power powered device, click here. The Internet of Things is introducing wired devices to help users build home automation systems as well as smart buildings. The 802.3bt Ultra PoE standard aims to support new IoT devices that require greater power. Even systems traditionally not categorized as IoT devices such as access control systems will soon require more power than 802.3at standards can support. In addition, 802.3bt will support medical devices, 802.11ac wireless access points, IP surveillance cameras, and even PoE lighting, a revolutionary new use-case for PoE. Currently, 802.3at provides more than sufficient power to support proprietary, low-powered PoE lighting solutions. With 802.3bt Ultra PoE however, manufacturers will have the freedom to create PoE lighting solutions that surpass 802.3at’s 30 watt limitation. The 802.3bt standard will give manufacturers the opportunity of adding additional functions that require more power to their PoE lighting systems. 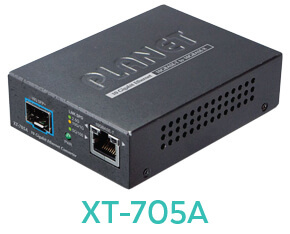 PlanetechUSA is pleased to announce that we’ve rolled out a new product line that supports up to 60 watts per PoE port. Our full suite of Ultra PoE solutions includes managed switches, hubs, extenders, injectors, and splitters. This new line of Ultra PoE equipment provides sufficient power to devices that require more power than 802.3at’s 30 watts. IEEE 802.3bt offers up to 30 watts more power than IEEE 802.3at (30 watts) and can drive PoE Powered Devices that consume higher power including thin clients, Speed dome cameras and AIO (All-in-One) touch PCs. Users interested in deploying a PoE network but who don’t have a PoE-capable switch, need not replace their existing switches. Instead, users can pair their non-PoE capable switch with a managed injector hub to deploy a PoE network that connects IP surveillance clients for example. Click here for 16-Port option. These ultra PoE injector hubs have selectable PoE power output modes to increase compatibility with your existing hardware. These Ultra PoE Injector hubs also come equipped with front-facing panel displays LED lights to quickly perceive how much power each port is using. For added flexibility, users can also pair the PoE -173 Single Port 10/100/1000Mbps Ultra PoE injectors with the PoE-171s 10/100/1000 Mbps Ultra PoE Splitter (12V/19V/24V). For example, if users have a non-PoE capable IP Phone and seek to install it in a location without power outlets, installers can pair a PoE injector with a splitter to provide power and data to the powered device via a separate interface. 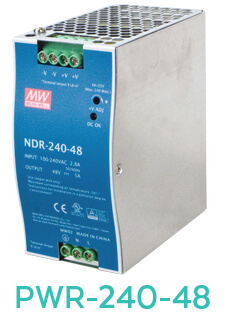 Our new line of Ultra PoE Switches can be used to power powered devices that require power that is greater than 802.3at watts of output power. Now network installers can easily power their IP Surveillance Cameras. Click here for the 24-Port option. PD Alive Check -These switches can be configured to monitor connected PD (Powered Device) status in real time via ping requests. If a PD stops working and responding, these ultra PoE switches will reactivate the PD by resuming POE port power. Scheduled Power Recycling– To prevent buffer overflow, scheduled power recycling enables powered devices to reboot at pre-specified times to reduce the likelihood of connected powered devices from crashing. PoE Schedule– Network administrators can pre-schedule operating times to prevent PoE power feeding during non-business hours for example. PoE Usage Monitoring-Users can easily monitor the PoE usage by using the user-friendly web management interface. 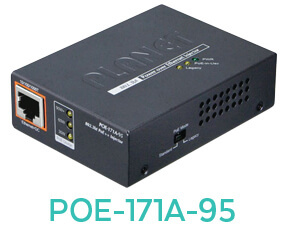 Now users can bypass the standard 100 meter Ethernet limitation with the IPoE-E174 Industrial Ultra PoE Extender. The extender can with extended temperature ranges between -45 to 75 degrees C.
Discover our full suite of 802.3bt Ultra PoE Products!